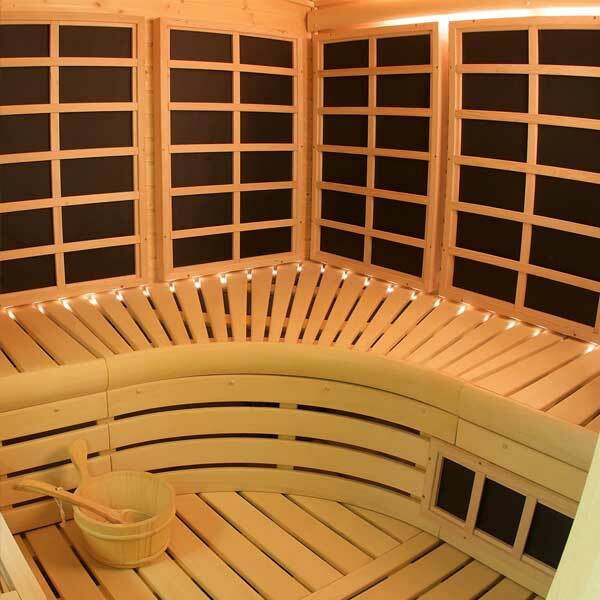 As infrared saunas have grown in popularity, the question often emerges, “Can I get a custom infrared sauna made to fit my own design ideas?”. Now, happily the answer to the question is an emphatic “Yes!”. Finnleo’s CarbonFlex far-infrared heating system can be incorporated into virtually any sauna room design to fit your pre-framed walls. Let your imagination go. For the first time in the worldwide sauna industry, there are now IR options to give you exactly what you want.